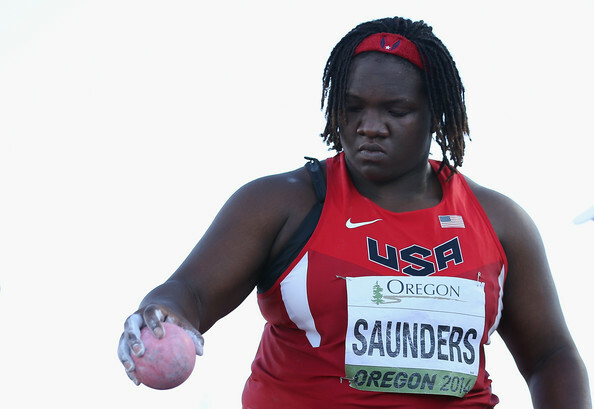 Brittany Smith, the former NCAA all-American in the shot and hammer, is ready for her first big competition as a professional–the USATF Indoor Championships this coming weekend. The women’s shot will be held on Sunday, March 1st, at 3:20pm Eastern time. 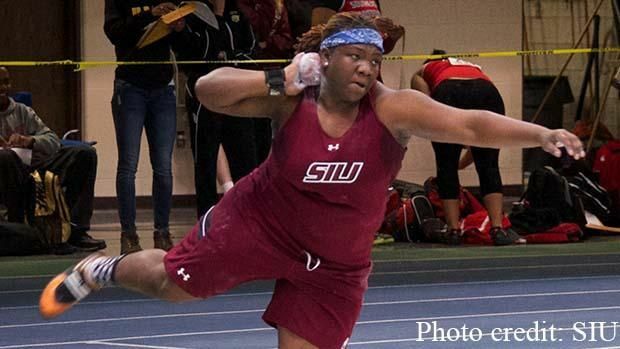 Brittany opened her indoor season on January 17th with a 19.01m bomb that, according to the Track and Field News website, is still the best throw in the world this year. Brittany currently works as Director of Operations for the track and cross country programs at Illinois State University (her alma mater). Unfortunately, this does not involve performing surgery. Instead, Brittany’s duties include arranging travel plans for meets and also creating itineraries for recruits when they visit the ISU campus. 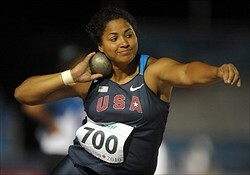 Greg Watson, the throws coach at Kansas State, writes Brittany’s throwing and lifting workouts. Greg also coaches Amanda Bingson, the current US champion in the hammer. 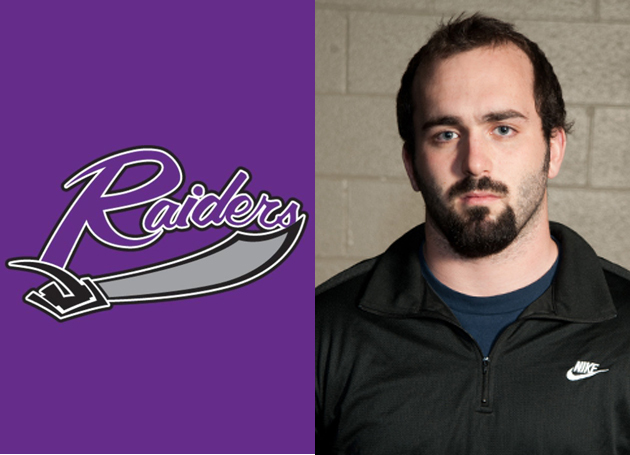 Sources at Mount Union (who requested that their names not be divulged in this article) tell me that Sean grew that beard in approximately 17 minutes. Her practice PR’s with the various implements include 20.11m with the 3k, 19.70m with the 3.5k, approximately 18.15m with the 4k, 17.20m with the 10lb, and 13.70m with the 6k. For throws fans wondering if Smith will attempt to compete in both the shot and hammer this upcoming outdoor season, wonder no more. She will throw the shot only. Opening this season at 19.01m was certainly a step in the right direction. Brittany hopes to take another big step this Sunday. After setting a Missouri Valley Championship outdoor record of 19.86m last spring, Southern Illinois putter Josh Freeman showed up for fall training ready to begin his assault on the venerable 20-meter mark. Unfortunately, injury problems in the late fall have him, by his estimate, five weeks behind in his training. Not a comfortable situation during a year in which it may well take somewhere in the mid-19 meter range to qualify for the NCAA indoor championships. This past weekend, though, Josh showed that he is catching up quickly as he hit a season-best 19.40m at the Fred Wilt Invitational hosted by Purdue University. John Smith, Josh’s coach at SIU, said that in the week leading up to the Purdue meet Josh threw 56’8″ with a 20-pound shot, 61’2′ with an 18-pound shot, 65’8″ with a 15-pounder, and 69′ with a 6k. Josh says that his bench and squat numbers are up 5-8% from last year, and that his hang cleans are up almost 15%. In terms of technique, he has been concentrating on staying back more in the middle of the ring and giving his legs a chance to do more work. Josh will compete this weekend at Eastern Illinois University in an effort to clinch a spot at the NCAA’s.